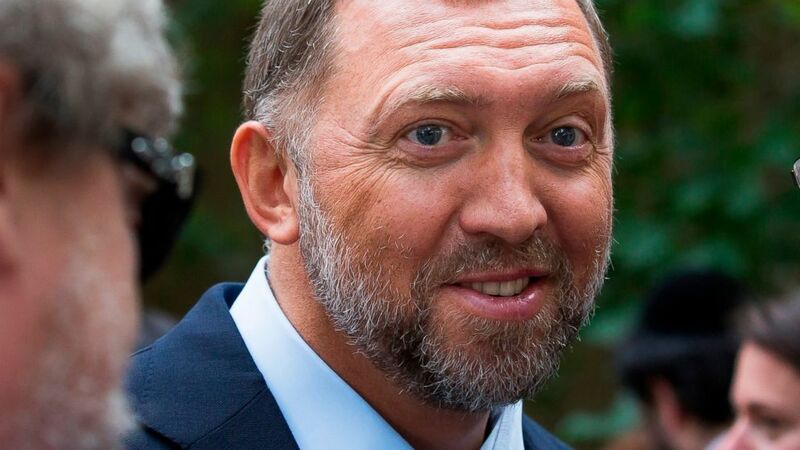 The Senate has narrowly upheld a Treasury Department decision to lift sanctions from three companies connected to Russian oligarch Oleg Deripaska. A vote to move forward on a Democratic resolution that would have reversed Treasury's decision failed Wednesday on a 57-42 vote, just short of the 60 votes needed. The vote came up short even though several Republicans had criticized the sanctions move and 11 of them voted with Democrats. At issue is a December announcement from the Treasury Department that the U.S. would lift sanctions on the companies linked to Deripaska —Russian aluminum manufacturing giant Rusal, EN+ Group and the Russian power company JSC EuroSibEnergo. EN+ Group is a holding company that owns nearly 50 percent of Rusal. Congress has 30 days from the announcement to vote to block it, a deadline that expires Friday. The House is expected to vote Thursday on a similar resolution to block Treasury's move — a symbolic action after the Senate vote failed. The Treasury Department says the Russian companies have committed to separating from Deripaska, who will remain blacklisted as part of an array of measures announced in early April that targeted tycoons close to the Kremlin. Treasury maintains that the companies have committed to diminish Deripaska's ownership and sever his control. In a statement last week, Treasury Secretary Steven Mnuchin said Deripaska remains under sanctions, "his property and interests remain blocked, and any companies he controls are also sanctioned." Treasury has warned that the sanctions could upset global aluminum markets or even prompt the Russian government to nationalize the company, thus shutting it out from any outside control. Mnuchin attended a closed-door GOP lunch on Tuesday and urged senators to vote against the Democratic resolution. Speaking after the meeting, he said the sanctions "shouldn't be a political issue." Echoing President Donald Trump, Mnuchin said the administration "has been tougher on Russia with more sanctions than any other administration." But Democrats — and almost a dozen Republicans — weren't convinced. Senate Minority Leader Chuck Schumer said the agreement didn't relinquish enough of Deripaska's control and questioned whether Trump's administration was doing Russia's bidding. "For a very long time the Republican Party predicated its foreign policy on taking a tougher line against Russia and Putin," Schumer said on the Senate floor before the vote. "In so many campaigns for president, we Democrats were accused of not being tough enough on the Russians. ... It seems that acquiescence to the president, a fear of breaking with the president, has held back too many of my Republican colleagues from supporting this resolution." Senate Majority Leader Mitch McConnell encouraged Republicans on Tuesday to vote against it, reiterating that Deripaska's influence over the companies would be limited and calling the vote a "Democratic stunt." McConnell said Republicans are "hardly strangers" to the need for strong policies on Russia. He added that they have "long seen Vladimir Putin for the KGB thug that he is," referencing the Russian president and the former Russian secret police and intelligence agency. Though McConnell won the vote, he wasn't able to hold his caucus together on the issue. "I'll vote to disapprove Treasury's easing of sanctions on Russian businesses involving oligarch & Putin ally Oleg Deripaska," Republican Sen. Susan Collins of Maine tweeted. "He still would maintain significant control given his ties to Putin. Easing the sanctions sends the wrong message to Russia & to Deripaska." New Sen. Josh Hawley, R-Mo., also voted with Democrats. "I think he's a bad guy and he's still in working control," Hawley said after the vote, referring to Deripaska. In addition to Collins and Hawley, the Republican senators voting with Democrats were John Boozman of Arkansas, Tom Cotton of Arkansas, Steve Daines of Montana, Cory Gardner of Colorado, John Kennedy of Louisiana, Martha McSally of Arizona, Marco Rubio of Florida, Ben Sasse of Nebraska and Jerry Moran of Kansas. House Majority Leader Steny Hoyer, D-Md., introduced the House resolution that will be voted on Thursday. "Mr. Deripaska has been key to much of the malign activities Russia directs against the United States, and the Congress must protect the American people against foreign interference and corruption," Hoyer said. Last week, House Democratic chairmen from seven committees called Mnuchin in for a classified briefing on the easing of the sanctions, one of the first moves of the new Democratic House to scrutinize Trump's actions related to Russia.